We specialize in cleaning air ducts in homes, offices and commercial buildings in Bergen, Essex, & Passaic Counties. 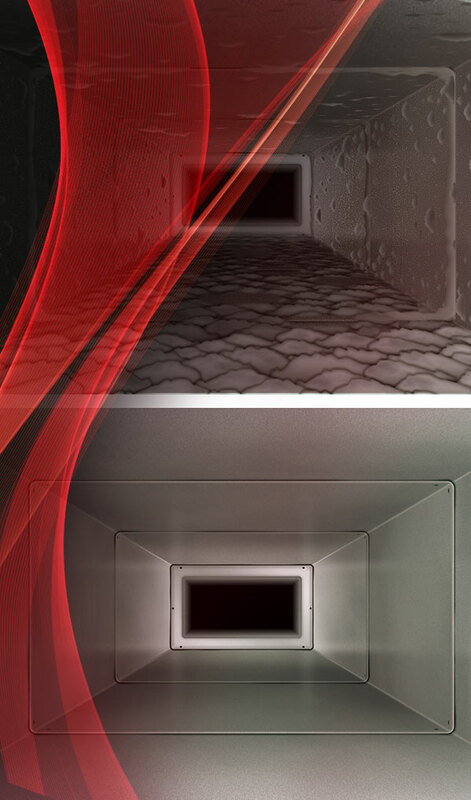 We are one of the leading residential air duct cleaners in town. We have the equipment and training to do the best possible job of cleaning and decontaminating your entire air duct system. Why is it important to have my air systems cleaned? Clean HVAC systems perform more efficiently to decrease energy costs. Well-maintained mechanical components last longer, reducing costly HVAC system repairs. When is the last time you checked your dryer vent and ductwork for lint buildup? Over 15,000 dryer fires occur each year; most of which are due to lint buildup in the vent and ductwork. If anyone in your home or office suffers from allergies, breathing or respiratory problems, or if you notice dust inside your home or office, you should consider having your air system cleaned. Do you have pets living inside your home? With our extensive training and experience in this community, you can trust us to give you the best service at a great price. We take the time to inspect your air duct system and complete the job to your full satisfaction. Is there anything more important than the health of your loved ones and employees?